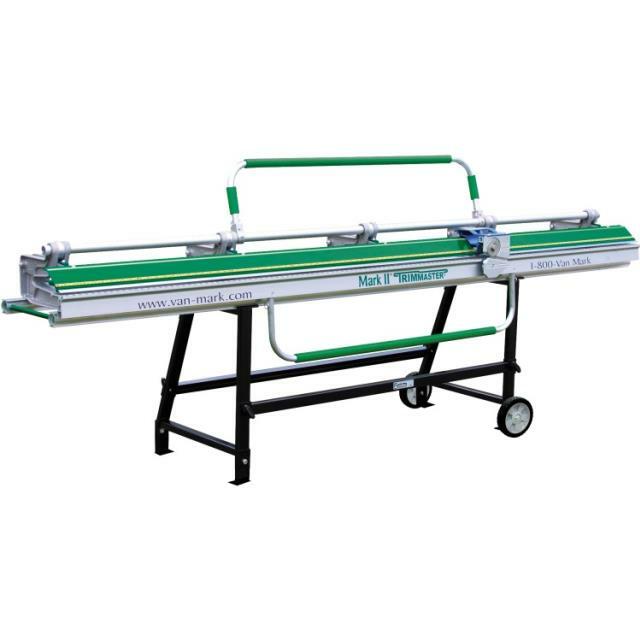 Non-Marring Vinyl Strips- The Mark 1 uses high grade materials to prevent marring during bending operation. Heavy Extrusions- Van Mark uses the strongest raw materials in the extrusions when making Mark I Series brakes, to provide years of dependable, durability. Full length Key Way- Key Way aligns cams, reduces parts (no bolts, pins, etc.) and ensures consistent locking pressure along entire length of brake, bend after bend. Aircraft Grade Aluminum Castings-The strongest Castings in the industry. A better weight-to-power ratio ensures better job site efficiency and performance. Automatic Cam Locks -Automatically and simultaneously adjusts to any gage material inserted in jaws eliminating multiple lock point adjustments. Double Journals/Thermoplastic Bearings- Double journals with self-lubricating, thermoplastic (UHMW) bearings at every lock point ensures worry free operation. Self Lubricating Thermoplastic (UHMW) Pads- UHMW thermoplastic locking pads out perform conventional materials as well as complicated mechanical locking systems. They eliminate all metal to metal friction. * Please call us with any questions about our 10 foot pro metal brake w/stand rentals in Lake Charles and Moss Bluff LA.